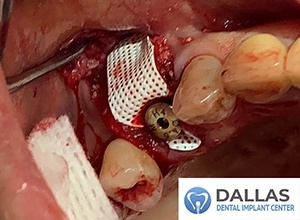 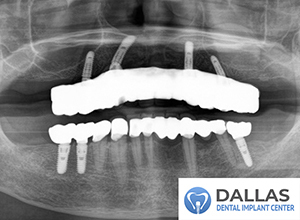 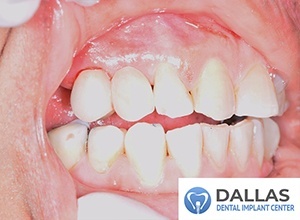 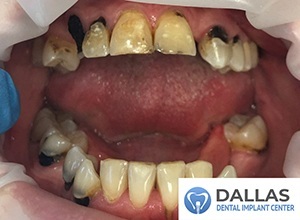 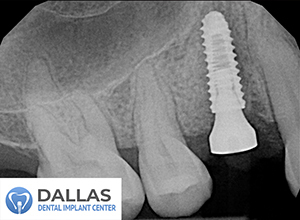 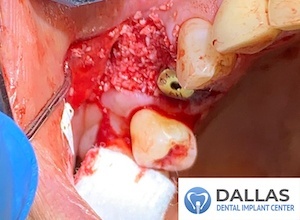 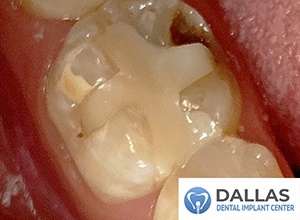 The patient had lost a tooth and was having a difficult time chewing so she became interested in dental implants. 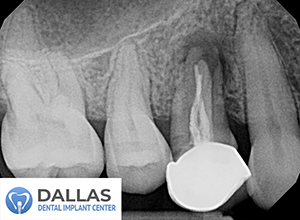 As the area was thoroughly assessed, Dr. Kwon noticed that there was remaining supernumerary tooth structure beneath the gum line. 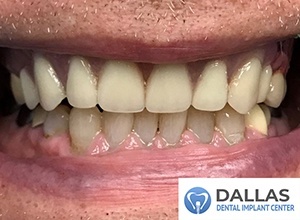 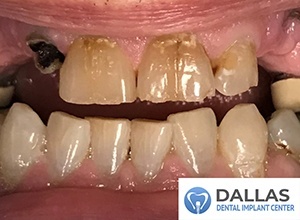 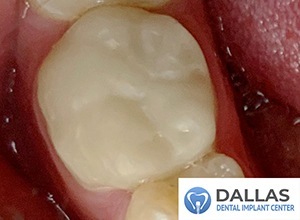 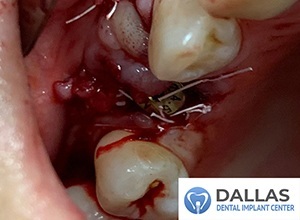 After all options were discussed, the patient decided to opt out of any further oral surgery and Dr. Kwon suggested a 2-unit cantilever bridge which allows the patient to smile and chew naturally and with confidence. 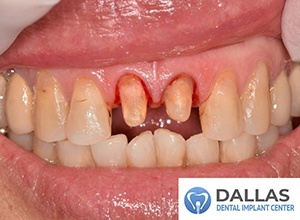 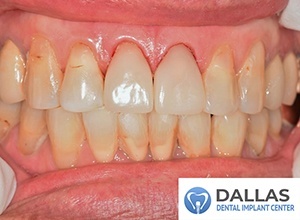 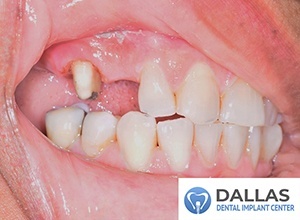 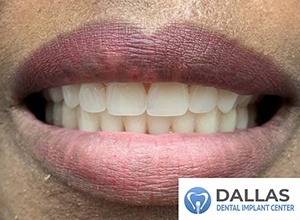 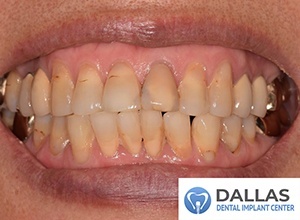 Patient has always been self-conscious about her anterior teeth and her smile. 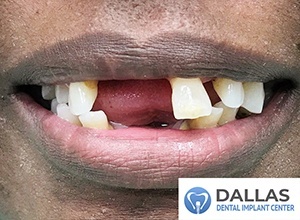 Due to frequent traveling, she was never able to get her crowns done. 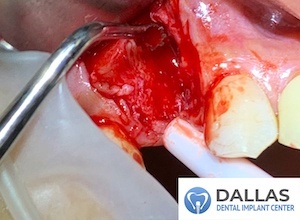 Patient always had a concern about waiting for a lab to finish her fabrications before she was traveling again. 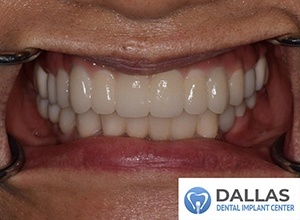 We were able to address her smile and get her anterior teeth looking great again in one day!